Sometimes you have that big extra bag of candy just waiting for you in the pantry, and you want to do something special with it. Just transform it into something crazy and indulgent. That's what happened with my bag of Miniature Reese's Peanut Butter Cups. If you want to whip up a quick and oh so impressive treat for Valentine's Day, this is a sure fire winner. It was so overboard, I couldn't even keep them at home. I took a couple bars out for us, and took the rest of the pan in for the guys at work. Every one loved them, even the one guy that doesn't care for Peanut Butter! I knew I did good then! Butter a 9x13-inch pan, and set aside. In large saucepan melt butter, and 1/2 cup peanut butter over low heat. Add marshmallows and stir until completely melted. Remove from heat. Add Rice Krispies, stirring until coated. Pour into the prepared pan, and use buttered spatula or piece of wax paper, to press evenly into pan. In microwave, melt 1 cup of peanut butter. Microwave in 30 second increments, stirring until thin. Set aside 1/3 cup of Reese's Peanut Butter Cups. Gently fold in remaining quartered peanut butter cups. Pour mixture over over bars spreading until evenly distributed. Melt the chocolate chips in microwave. Microwave in 30 second increments, stirring in between until melted. 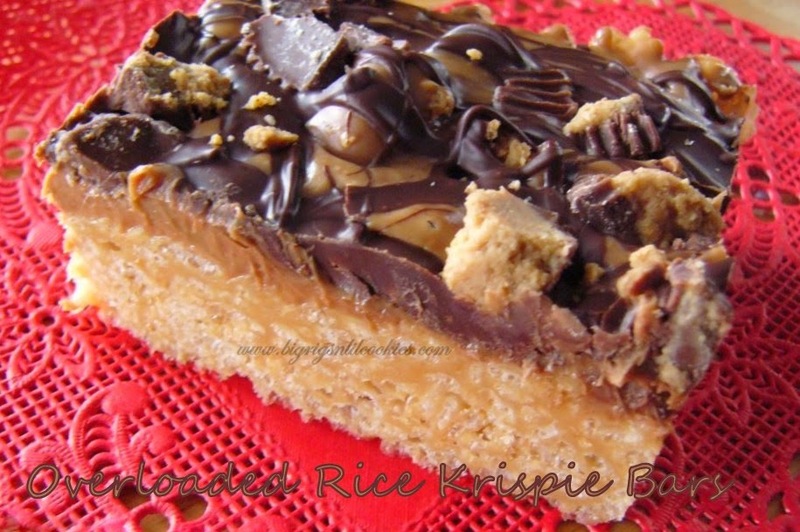 Drizzle the melted chocolate chips over top of peanut butter layer. Evenly sprinkle reserved peanut butter cups over top. Refrigerator for several hours until set. Ooooh, how delicious! They look absolutely scrumptious. I love peanut butter so I know I'd enjoy these! Oh My This is making me so hungry! I found you on Thursday's Treasures! Oh my goodness this looks amazing! My husband would just die for this. I am a new follower! I'd love for you to link up at my weekend link party that is going on right now @The Weekend re-Treat! OH I so want one of these right now!!! 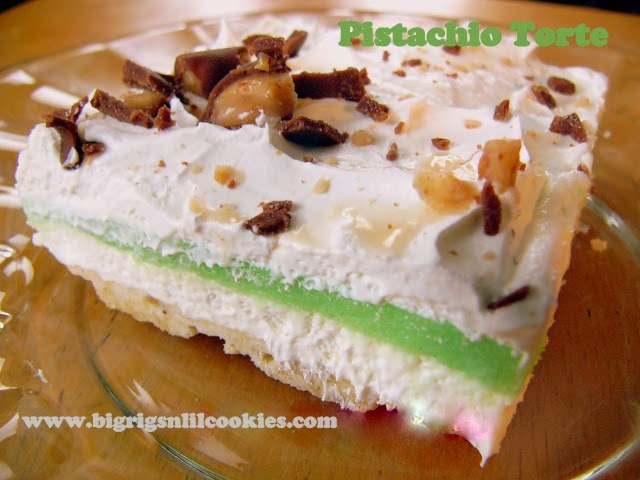 Thanks so much for linking up to Manic Monday :) Pinned, Tweeted, and shared this yumminess on Facebook!! Everything about this treat screams my name! I am drooling! Chris, these look so dreamy. Just like Jutta, I am drooling as well. WOW! These are amazing! Want NOW!! These look so delicious! So glad you shared at last weekends link party @The Weekend re-Treat! These sound a lot like Whatchamacallit candy bar which is my absolute favorite candy bar so you'd better believe I will be trying these really really soon!